Contrary to Western belief, Feng Shui is much more profound than decluttering or reorganizing furniture. Authentic Feng Shui utilizes profound insights beyond just the visual and goes far beyond the conscious levels. Feng Shui is comprised of a universal wisdom that affects an individual's health, relationships, and career. Positive and negative energy flows all around and through us. In Feng Shui tradition, positive energy is the dragon's breath, as the dragon is the most powerful creature in Chinese mythology. The Feng Shui Master works to guide and pool this energy, or chi, for maximum benefit. Negative energy, called sha chi, is also thought of as tiger energy and is generated by natural and artificial forces. 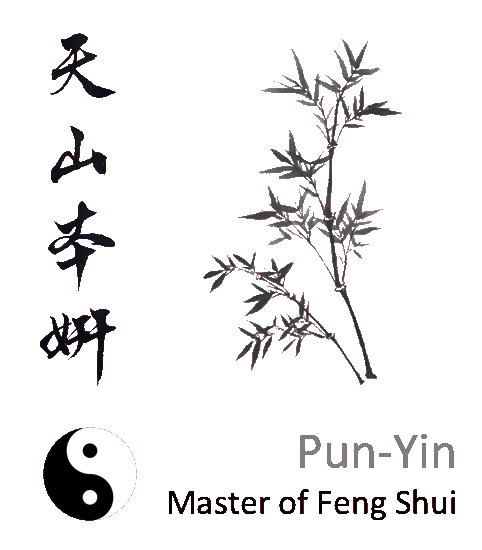 There are many different types of sha chi, each with a different name and Feng Shui prescription. Is there more to Feng Shui than decluttering an environment? Absolutely; most Westerners view Feng Shui as the placement of objects, however authentic Feng Shui utilizes profound insights beyond just the visual. Feng Shui uses Chinese Astrology and is based on an individual's inherent Five Elements. Feng Shui prescribes a mixture of Chinese healing systems to balance individuals and their environment. What aspects of an individual's life does Feng Shui affect? Feng Shui is comprised of a universal wisdom that can affect an individual's health, wealth, career, and relationships. Is Feng Shui different for each individual? Authentic Feng Shui is a customized analysis that balances your inherent energy, which is based on an individual's birth month, day, year, and time. Hence, each Feng Shui client is unique and must be treated individually. How is a Feng Shui Master similar to a life coach? Similar to life coaches, Feng Shui Masters address and improve their client's personal and professional conditions. However, Feng Shui Masters guide their clients far beyond the conscious level by identifying the high and low cycles of each individual's life, which encompasses the personality, challenges, and life strategies. Those traits are identified by the Five Elements Composition and act as the blueprint to guide clients on when to be proactive versus passive throughout their cycles. Are there any additional costs to hiring a Feng Shui Master? Changes to a space may attribute to additional costs, but Master Pun-Yin provides all clients with simple solutions on how to utilize a space and optimize its Feng Shui. What are some examples of good Feng Shui in the home? - Allow sunlight and fresh air into the bedroom daily. - Have no more than one pair of shoes near the entrance of your foyer. - Avoid the use of electronics, computers, and tablets in the bedroom. - Avoid placing mirrors which reflect doors, desks or beds. Are there side effects to Feng Shui? There are many novice Feng Shui practitioners who erroneously guide their clients with commercialized tchotchkes and treatments. If incorrectly advised, clients are left with a pricey bill, as well as increased negative energy. Many clients instantly feel positive energy from Feng Shui, because people are the product of their environment. From the time the recommended alterations are implemented, most people experience positive results within 30-90 days. What did Master Pun-Yin's apprenticeship entail? - Studying ancient and contemporary Chinese texts about Feng Shui. Feng Shui, Chinese Life Readings, and mastering the use of the Luo-Pan. every week for 15 years. - Maintaining her own weekly magazine column.